« Tennant Creek Children’s Week – Make a Halloween Mask! 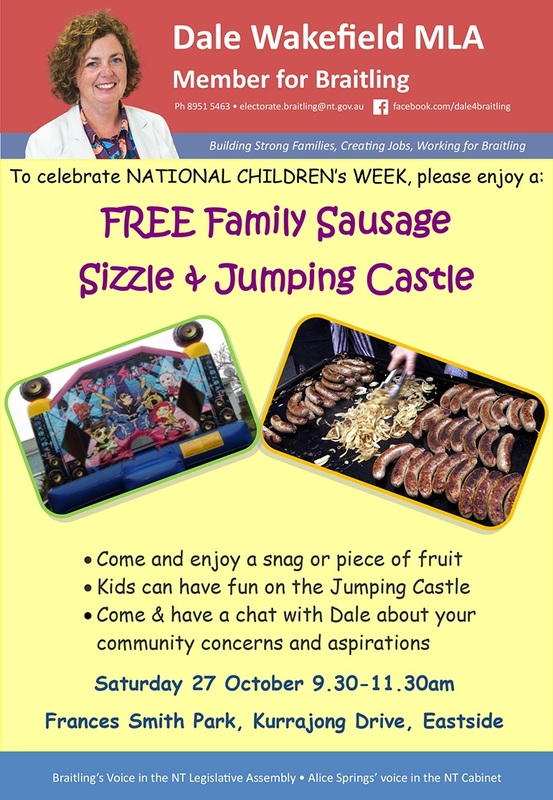 A chance for local families and children to gather and enjoy a free BBQ and jumping castle. Hosted by the Member for Braitling, Dale Wakefield.